David Bwie is . Museum of Contemporary Art, Chicago: Exhibition Catalogues por A.A.V.V. David Bowie is a pioneering artist and performer whose career has spanned nearly 50 years and brought him international acclaim. He has sold over 140 million albums, and been cited as a major influence on contemporary artists and designers working across the creative arts. This is the first book produced with access to the David Bowie archive of performance costume, ephemera and original artwork by the artist, which is brought together to present a completely new perspective on his creative work and collaborations. The book traces his career from its beginnings in London, through the breakthroughs of Space Oddity and Ziggy Stardust and the Spiders from Mars, and on to his impact on the larger international tradition of twentieth-century avant-garde art. 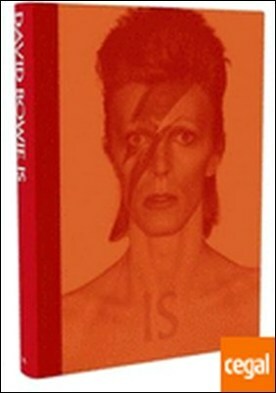 Essays by V&A curators on Bowie’s London, image, and influence on the fashion world, are complemented by Christopher Frayling, Mark Kermode and Philip Hoare on film ; Howard Goodall on musicology ; Camille Paglia on gender and decadence ; and Jon Savage on Bowie’s relationship with William Burroughs and his fans.